The industry of tomorrow will be different. More volatile markets, new technology capabilities, and increased pressure on performance will precipitate the change. 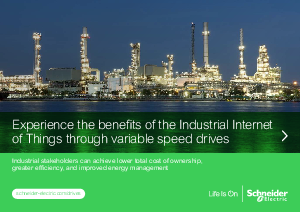 But with change comes opportunity…the Industrial Internet of Things (IIoT) has unleashed huge potential for industrial customers. There is a reported $14 trillion of new business growth up for grabs – and your goal of better business performance can help you earn your fair share of that growth. How can you make the most of this potential? Read the rest of this eBook to learn more.